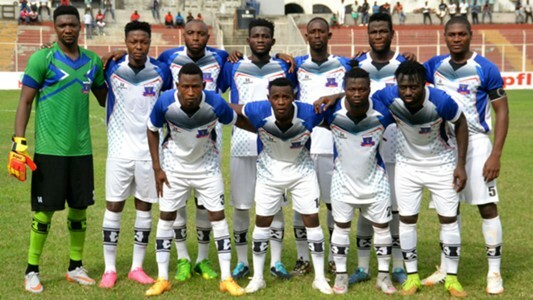 Table toppers, Lobi Stars Football Club on Sunday underlined their 2017/2018 Nigeria Professional Football League (NPFL) title credentials by edging a tightly-contested encounter against 10-man visiting Kano Pillars 1-0 in Makurdi. Ayo Saka scored the winning goal nine minutes from time at the Aper Aku Stadium, nodding home Ebube Duru’s cross. Kano Pillars were reduced to 10 men a minute before the hosts scored the opening goal, with left-back Chris Madaki receiving the marching orders for a second bookable offence. Solomon Ogbeide’s men now sit at the top of the standings with 33 points, six more than second-placed Katsina United who beat visiting El-Kanemi Warriors 1-0 at the Muhammadu Dikko Stadium.